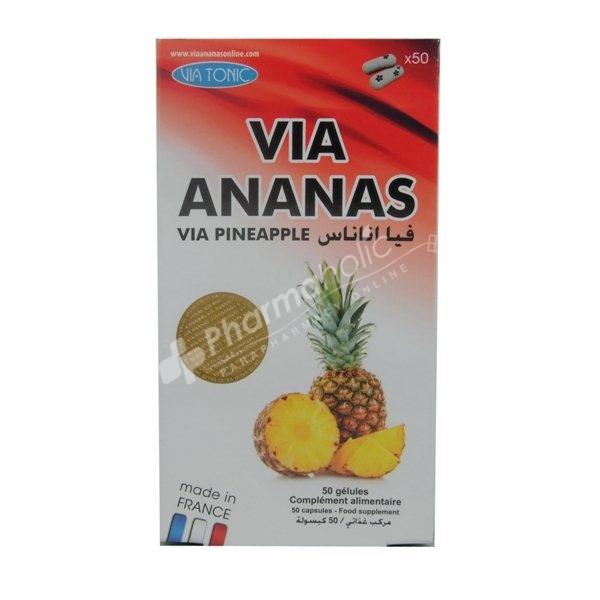 Via Ananas is a Food supplement designed to solve problems of excess weight and fat and get rid of them.It is known that the the pineapple fruit is rich in vitamins C, E and A, which enhance the fat burning process. Via Ananas is a Food supplement designed to solve problems of excess weight and fat and get rid of them. It is known that the the pineapple fruit is rich in vitamins C, E and A, which enhance the fat burning process. In addition pineapple contains the enzyme Bromelaine which works to stimulate the process of digestion. Via Ananas works to reduce excess water and fat accumulated in the tissuesas well as dissolve cellulite. More than 110 kg: 2 Capsules half an hour before lunch and 2 capsules half an hour before dinner.